I’ve seen many patients in their late 30s and early 40s who are interested in treating early facial aging. Most are familiar with Botox and fillers such as Juvederm, Restylane and Radiesse, but they want to learn about options with longer lasting results. A facelift consists of repositioning deep facial soft tissue and tightening of the skin. Although it remains the gold standard for treating signs of facial aging, it is an invasive surgical procedure and requires 2-3 weeks of recovery. Some patients don’t have the time for this, or feel that they are too young for this option. 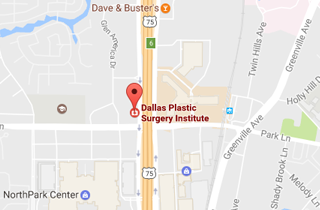 There are other options for signs of early facial aging in Dallas. The first is a new treatment called Ulthera, which is offered at EpiCentre Dallas and EpiCentre Legacy (Plano). This involves deep ultrasound treatment to reposition and tighten the deeper facial fat and soft tissue. Although the results are not as dramatic as those seen with a facelift, Ulthera offers proven clinical results with minimal downtime. Another treatment, which is effective for skin tightening, is Thermage. Thermage uses radiofrequency, or heat, to tighten the skin. This can effectively tighten the skin of the lower face and neck with virtually no downtime. If you would like to learn more about surgery for facial aging in Dallas, as well as noninvasive treatments, including Ulthera, Thermage, Botox, Juvéderm, Restylane, and Radiesse, don’t hesitate to contact Dr. Jejurikar’s office at (214)827-2814.